Cars made by me. 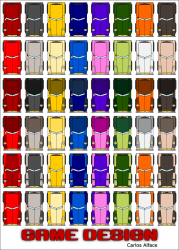 In the zip there are 48 cars in PNG format with transparency. Hope you like it.